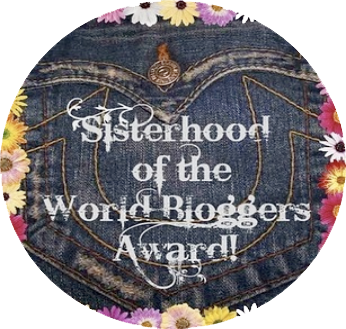 Firstly I'd like to thank Maria over on in 1997 for nominating me for the Sisterhood of the World Bloggers Award and of course I accept the tag! This tag seems very similar to the Liebster Award tag but either way I'm happy to be nominated! 1. Provide link and thank the blogger that nominated you. 3. Nominate 10-12 bloggers that you find a joy to read. 4. Provide links to these nominated blogs and let recipients know that they have been nominated. 5. Include the award logo with your blog post. Fifty Shades of Grey on the weekend :) It was so good! 2. Favourite song to sing in the shower? I don't actually sing in the shower. The most I will do is hum. So I normally hum whatever song I have stuck in my head. 3. What have been your biggest success? Passing my driving test. All the way through my lessons and both tests I thought I was a bad driver or that I would fail so being told I had passed was such an amazing feeling! Funny loving, loyal, friendly and hard working. I feel like this is an interview! You'd have to ask them ;) I'm hoping it would be positive though! 7. If you could change one thing about yourself what would you change? Probably my weight. But I'm positive and going to the gym to make me feel better about it! 8. What is you favourite perfume? At the moment it's probably my Next perfume called Gold. It smells amazing for how cheap it is! Probably somewhere nice and hot like Florida or Australia. I need some sun in my life right now! Ooh I'd probably normally say blusher but I've been using my bronzer a lot more recently so I'd say that! 1. If you could fly anywhere now, where would you go? 2. What are you thinking about right now? 3. What are you looking forward to most this weekend? 4. Favourite thing to do when you're bored? 5. If you could go back to any point in your life, where would you go? 7. 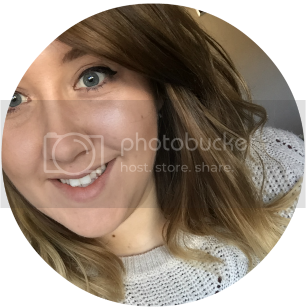 What blogs are you currently loving? 9. Favourite Yankee Candle scent? 10. What quote represents you best? Congrats on the award, Nat, well deserved. Girl I am flattered, thank you so much for nominating me, that's so sweet of you. At the moment I am not able to do the post, it will have to wait until everything is back to normal. As I already said in my last post, the company I am working for gives us some hard time and it won't get better until end of March. All my post are scheduled at the moment and I am a happy camper when I manage two post/week, anyway to make a long story short, gotta dash anyway, thank you thank you thank sweetie....muah! I've also went from being blusher crazy to wearing more bronzer lately. Was nice to read a bit more about you!